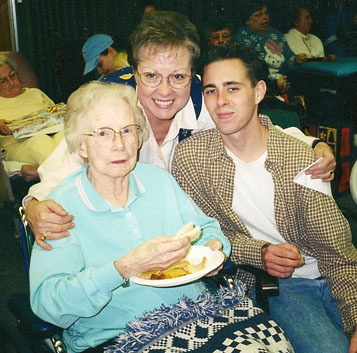 In 2001, we moved my mother from Tennessee to Oregon in order to care for her. An unsafe nursing home situation mandated the move and gave her a greater sense of safety. The most difficult part of caring for mother was the fact that ours had always been a strained relationship. Elements of verbal and emotional abuse comprised mother’s discipline with my brothers and me. Just before the move through a third party, I realized that Mother’s childhood had great bearing on her temperament. However, this didn’t diminish the pain or invisible scars. Ten months after the move Mother was speaking less and spending more time sleeping. Communication became difficult. Although she was in an excellent facility and well cared for, I needed to know I was meeting her needs. One afternoon when I stopped by to collect her laundry, Mother seemed more awake than usual. A good time to try to get her to talk. An almost imperceptible nod and she softly responded, “Everything is just fine. You have done everything just right.” A slight smile and closing eyes let me know she was finished. My heart pounding, I picked up the laundry bag and made my way to the door. I could hardly see through my tears. Here I was 57 years old, walking through the rain to my car crying over just a few words. All I had ever wanted to hear from her were words of love, approval and affirmation. Not once in my life could I remember hearing favorable words. And now, she had affirmed me as having done a good job caring for her over such a short period of time! After I got in the car, I just sat there, processing what had just happened. Suddenly I felt awash in a diaphanous mist of comfort and healing, like a blanket wrapped around me on a cool night. Although my memories from childhood would always linger in the background, my heart was soaring with abandon in this recognition of love and approval. Our history together had not been mentioned in the past 10 months — the hurts we had inflicted, the pain felt by flying words and hands, no apologies, no mention of forgiveness. 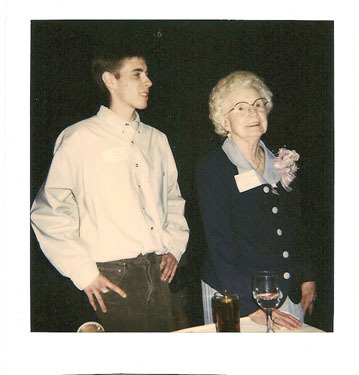 Sherrey Meyer is a wife, mom, grandma and great-grandma living in Portland, OR, with her husband, Bob. She is avid about books, needlework of all kinds, and writing. Currently, Sherrey is working on a memoir.